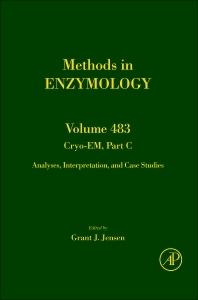 This volume, along with Part A and Part B, is dedicated to a description of the instruments, samples, protocols, and analyses that belong to cryo-EM. It emphasizes the relatedness of the ideas, instrumentation, and methods underlying all cryo-EM approaches, which allow practitioners to easily move between them. Within each section, the articles are ordered according to the most common symmetry of the sample to which their methods are applied.